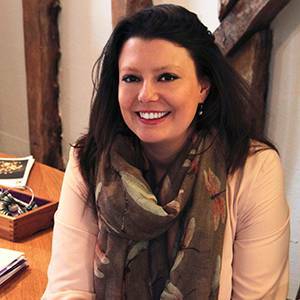 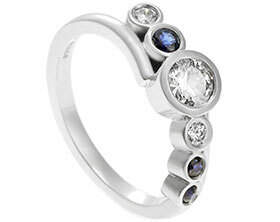 Sarah visited the studio with a beautiful yellow gold and sapphire cluster ring, that she has inherited from her Nan, she absolutely loved the ring because it meant to much toher Nan, but it wasn't quite something that she would wear, so she decided to re-create the ring in 9ct white gold, with rhodium. 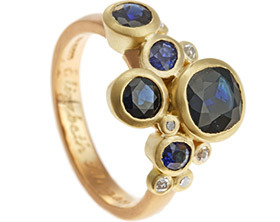 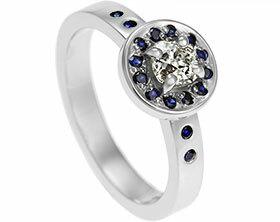 So the ring has a lovely 4mm wide band tapering towards the back, with detailed Kiss and line engraving on the shoulders, the head of the ring holds the original cluster of thirteen stones, with one ~4mm brilliant cut blue sapphire, and twelve ~2.5mm brilliant cut sapphires, in a rhodium plated setting. 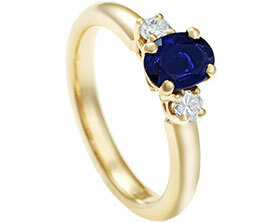 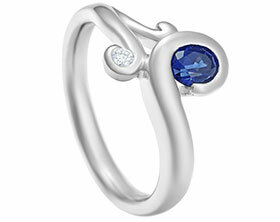 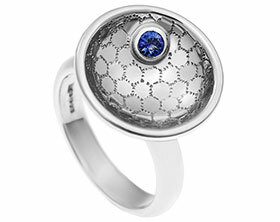 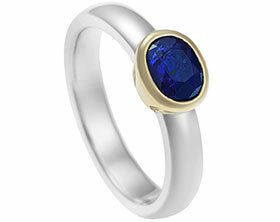 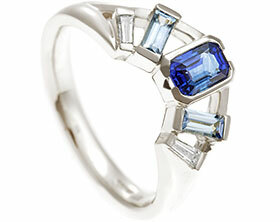 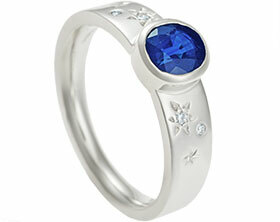 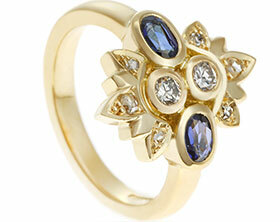 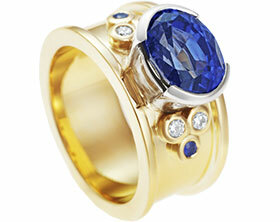 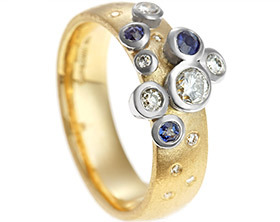 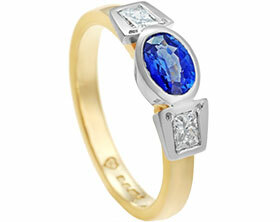 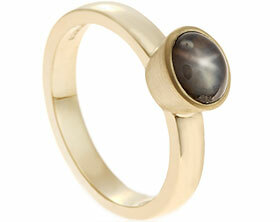 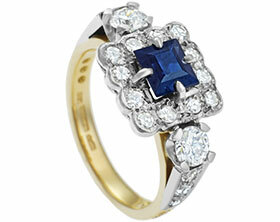 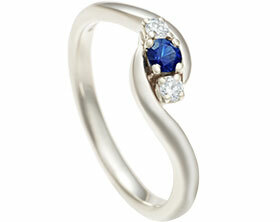 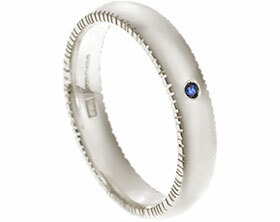 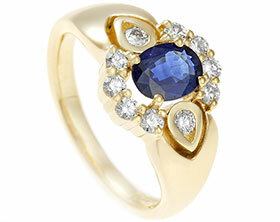 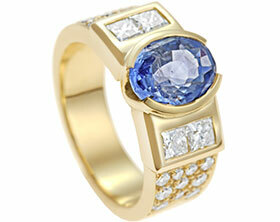 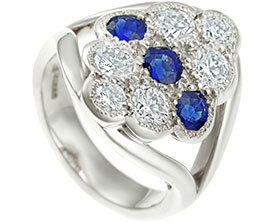 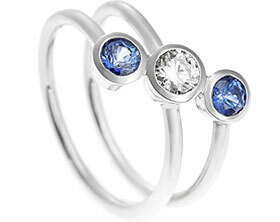 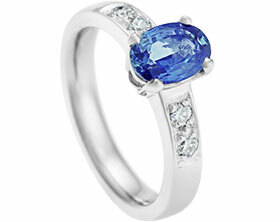 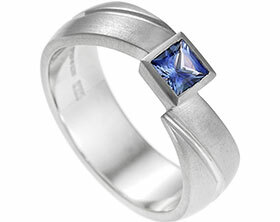 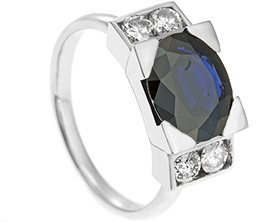 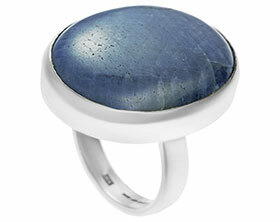 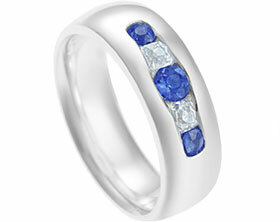 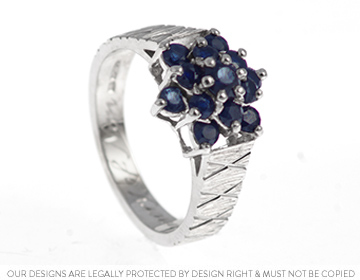 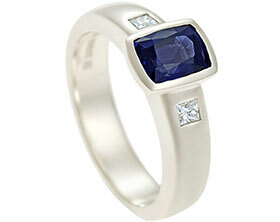 The bright white gold the rhodium plating really works in contrasting with the deep almost navy blue of the gemstones.